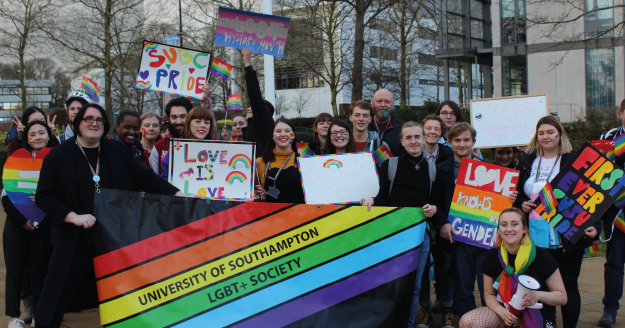 The University of Southampton Students’ Union stands with SUSU LGBT+ Society in calling for University of Southampton to take action and sever ties with the anti-gay regime in Brunei. We support the motion submitted by Daniel Harris, LGBT+ Society member, to request the University take action on removing the title of the Brunei House at Glen Eyre Halls of Residence. This building was funded by Sultan Hassanal Bolkiah and his government and currently displays a plaque to commemorate this. This motion is in light of the recent anti-gay legislation now signed into law by Sultan Hassanal Bolkiah, where punishment is now death by stoning for gay men and 40 lashes for gay women. As elected Sabbatical Officers, we value and respect all of our students. We stand in solidarity with the LGBT+ community of Brunei and we wish to extend our solidarity to all our LGBT+ students. In light of recent events, we agree that it is unacceptable to name one of our student accommodations after a country that has enacted such policies. We value our positive relationship with the University Residences team and will do what we can to have this building renamed.